Above video published on Nov 4, 2011 by the LatmaTV YouTube channel. 25 Years after the Oslo Accords: Why Did They Fail to Create Peace between Israel and the Palestinians? Some diplomatic efforts fail—like the ill-fated Oslo Accords—because of dramatic changes in one or more of the parties. 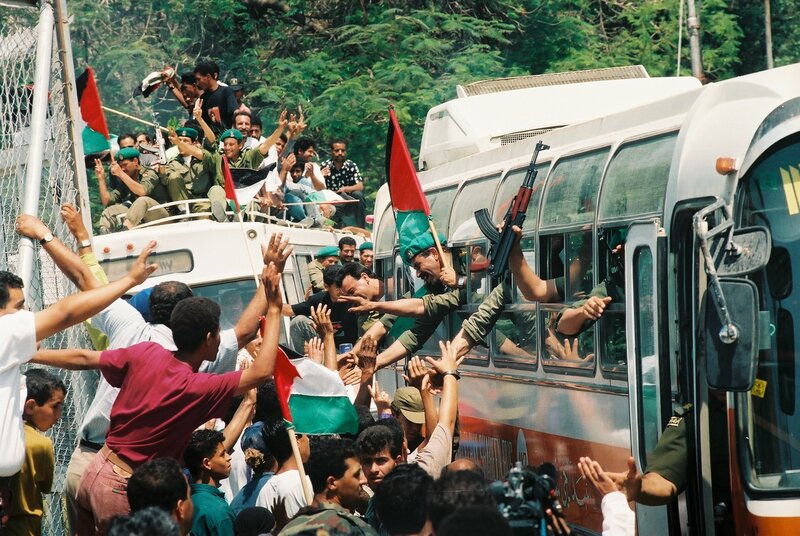 On the 25th anniversary of Oslo, the situation in Israel, Judea-Samaria (the West Bank) and Gaza remains volatile, hostile and dangerous, primarily because one of the parties—the intractable Palestinian leadership—has changed not a bit. In fact, peace was not the Palestinian objective when the Oslo Accords were signed, and peace with Israel is still not part of the Palestinian psyche. After Oslo, the Israelis, Palestinian Arabs and the whole world waited for the widespread peace that would envelop the Middle East and, by the now-discredited theory of linkage, bring peace to the world’s peoples, everywhere. In addition, if the world’s most intractable dispute could have a peaceful resolution, pundits reasoned, what problem could not similarly be resolved? Instead, to the contrary, Israelis—despite their economic and social successes—remain under siege in a perpetual state of war and terror. Palestinian Arabs’ lives—while enormously improved economically—remain bitter, with little hope for improvement of their prospects. As for the world, shall we just say that neither Oslo or the Arab Spring has caused the Middle East or any part of the globe to become a sea of tranquility and amity? So, what happened after Oslo? Sadly, in the most fundamental sense—and where it counted the most—virtually nothing has happened yet. The first problem is that the mythology that surrounded—and surrounds—Oslo has overwhelmed the actual deal that was made. If we want to break free of Oslo’s failure—and chart a new course—we must first understand the deal’s original goals. Under Oslo, Israel was ultimately to divide the contested territories into three areas, with the PA given civil and policing powers over the vast majority of the territories and 97% of the Palestinian Arab population . Most other issues were deferred for negotiations over the following five years. The most critical issues—the status of Jerusalem and refugees, and even the eventual creation of a Palestinian state—were deferred to a nebulous “final status” deal. But, some things even more important were not deferred: The need for confidence-building moves and a real pursuit of policies conducive to making peace. It was clear then that the insecurity and distrust between the two signatories—and their populations—required diligent efforts by both sides to establish good-will and trust between them. Despite some admirable security-sharing duties between Israel and the Palestinian Authority, this did not create sufficient confidence between the parties to resolve the most “important” issues. Particularly damaging to trust was the brutal terror of the Palestinian Second Intifada, which murdered over a thousand innocent Israelis. “A peace plan isn’t peace. Peace negotiations aren’t peace. Nobel Peace Prizes aren’t peace, either, though they were handed out after Oslo. In this week’s featured FLAME Hotline article (see below), syndicated columnist Amir Taheri, an Iranian pre-1979 publisher, describes the underlying mythology of the “Oslo Accords” and the “Oslo Peace Process.” His points help pro-Israel advocates understand the dubious Palestinian motives for signing the Accords—and why peace still depends on their actually, finally, wanting and accepting peace with the Jewish state. I hope you agree with and will support this message. Read the remainder of the article on IsraelUnwired.com here. Although the agreement itself didn’t call for the creation of an official Palestinian state west of the Jordan River, subsequent Israeli proposals over the years did allow for such an entity to come into being. All of those offers, however, were rejected by the Palestinian leadership.